Now here’s just 2 catches with this configuration. First off, anti-spoofing will apply to the members local interface network and not the ClusterXL virtual one, so you can’t use the comfortable “Network defined by the interface IP and Net Mask” setting unless you want all your traffic dropped/detected as spoofed. 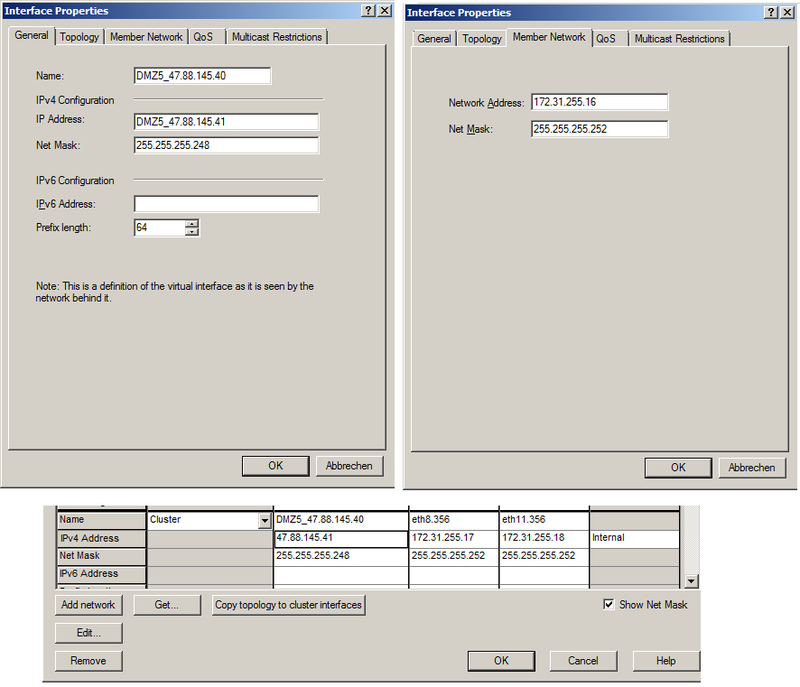 Instead just define a specific subnet object representing the ClusterXL interface subnet. The second thing which shortly caused some headache for me was that SPLAT/Gaia wouldn’t know where it needs to route the public subnet. Now that the physical interfaces to those subnets had different IPs, the OS naturally lacked the proper routing information and would forward traffic through the default route. 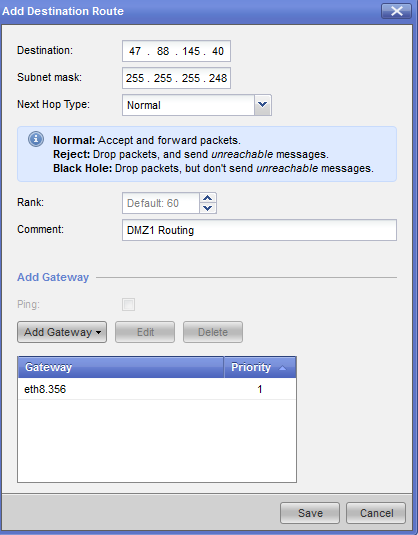 To solve this, I added static interface-based routes for each public subnet like this. To my confusion however, they didn’t help and seemed to have no effect. Checking the firewall nodes routing table via SSH confirmed that there was no corresponding entry present. The route command in expert mode alone doesn’t survive a reboot, you still need to set all routes in the Gaia/SPLAT CLI/Webinterface on all members. I confirmed that the routes are being applied properly after a reboot. Also, static routes using Gateway IPs do not need a reboot either, so this seems like a bug specific to using interface-based routes.